Phil Pospychala is an anorak, a Bixian anorak. 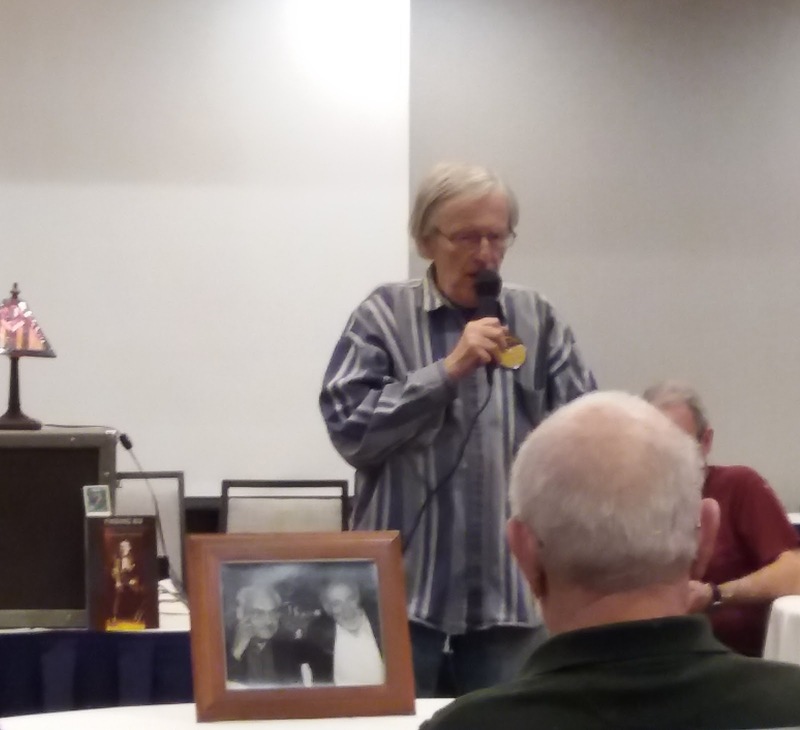 The Bix Fest director gave two lectures during this year's festival, the first on the subject of a 1971 documentary radio series which, until recently, was to all intents and purposes lost, forgotten about. 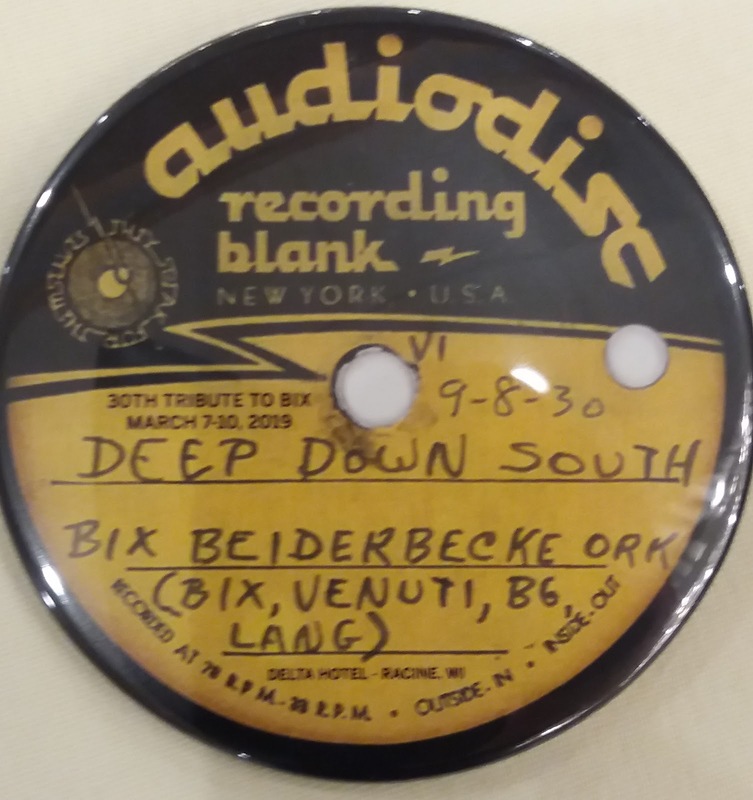 Mr Pospychala knows everyone who is anyone in the Bixian community and he has acquired a copy of the broadcast tapes thanks to his friendship with the respected musician Frank Powers. The second talk, titled The Good, Bad & Worst (of Bix), was a no-holds-barred assessment of Beiderbecke with an emphasis on the 'worst' aspects of the legendary cornetist's life and times. The first lecture took the form of an affectionate, at times rambling, introduction outlining the format of the radio series which included interviews with some of Bix's associates who were still around in the early 1970s. Pospychala selected two of the ten half hour programmes and played them back to back. Of course, the broadcast music was great and Pospychala's fellow Bixians listened intently to numbers they had no doubt listened to countless times, some applauding at the conclusion of each tune. Such is the dedication of Bix Fest attendees that participating musicians at the event were themselves keen to listen. As the talk concluded Andy Schumm made some telling points about the music we had just heard. In his second lecture, Pospychala probed the less appealing aspects of his subject's life. Describing Beiderbecke as a genius - no one present dissented from the observation - our speaker suggested he was other than his good guy image would suggest. Bix's well-documented alcoholism masked a troubled soul argued Pospychala yet, in the final analysis, it was Beiderbecke's music that will live on. The event concluded with several musical examples (78s!) 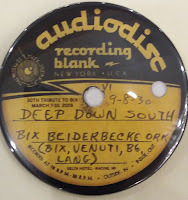 being heard as testament to the genius of Leon Bismark 'Bix' Beiderbecke.